VANCOUVER – With all five local qualifiers across British Columbia now complete, the stage is set for the RBC Training Ground Regional Final at the Canadian Sport Institute Pacific’s Vancouver campus on Saturday, March 4. 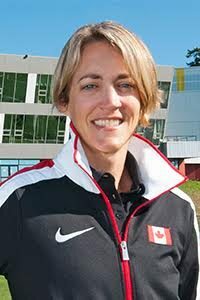 RBC, in partnership with the Canadian Olympic Committee (COC), the Canadian Olympic Foundation (COF), CBC Sports and the Canadian Olympic and Paralympic Sport Institute (COPSI) Network, have renewed their search for future Olympic athletes in January, beginning with five local events throughout British Columbia. Athletes between the ages of 14 and 25 executed a series of workouts measuring speed, power, strength, and endurance in front of coaches and officials from National Sport Organizations (NSOs). The participants’ results were measured against performance benchmarks to determine an athlete’s capacity for sport at its highest level. From the BC qualifiers, 100 athletes have been invited to the RBC Training Ground regional final at the Richmond Olympic Oval on March 4. Select athletes will be identified for additional sport-specific testing and may receive financial support from RBC towards their training and competition programs for up to three years. In addition, the top performer at the BC regional final will be awarded a trip to the 2018 Winter Olympic Games in PyeongChang, South Korea. Three of the athletes who qualified for the regional final are Austin Dundas, Tegan Heshka and Jonathan Vallee. From the small town of Pilot Butte, Saskatchewan, population 2,600, Dundas hopes his raw abilities on the baseball diamond will carry over to the RBC Training Ground regional final. The 19-year-old outfielder with the Thompson Rivers University Wolfpack baseball team had exceptional performances at the Kamloops local qualifier in sprint testing and the vertical jump. A 15-year-old middle distance runner, Heshka is a BC high school track and field champion in the 800m event. She impressed coaches at the local qualifier in Kamloops, where she put her athletic talents to work during the 30- and 40-metre sprints, vertical jump and beep test. Vallee competed at the local qualifier in his hometown of Victoria and posted the best overall performance across the four testing stations for U19 males. A true hidden gem, the 17-year-old is currently not involved with any high performance sports and listed free running as his sport of choice during registration. RBC Training Ground began in 2016 with 400 athletes participating in four athletic combines across the country. Ninety-four athletes met or exceeded the testing benchmarks set by NSOs, including 25 athletes who were selected to receive funding and support through RBC and the Canadian Olympic Foundation. The winner of last year’s RBC Training Ground combine at the Richmond Oval was 16-year-old Kieanna Stephens of Surrey, BC. Stephens grew up playing hockey, but caught the attention of Rowing Canada and has since joined their NextGen program. She competed in her first regatta in June and was one of the top five junior rowers in the country at the national championships, despite having only rowed for five months. The search for Canada’s future Olympic stars will continue over the next several months as RBC Training Ground hosts events in Alberta, Atlantic Canada, Quebec and Ontario.